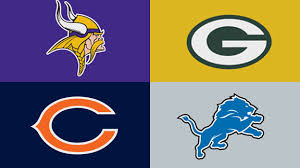 This is without a doubt the strongest division in football having had two different teams reaching the Super Bowl in the past 2 years and another team with an 11-5 record barely missing the Playoffs this past year. Well some people had some really high hopes for this year’s Rams team. Then Sam Bradford their starting QB went down with an ACL tear (Article on them here https://fortonsports.wordpress.com/2014/09/06/time-to-move-on/) basically taking them out of the conversation completely as their offense wasn’t that prolific before. They will have depend on their breakout rookie last year in Zac Stacy. Zac Stacy is a very nice player but I do not ever see him being the sole reason the team will win any games. On the defensive side of the ball they have a lethal front 7, but I have questions about their secondary. No team should look to run on them, but I see passing on them to be a very solid strategy as their only decent guy being Cortland Finnegan. I see them giving some teams problems but the Eagles, Cowboys, Broncos and Chargers will all have a field day on this defense. 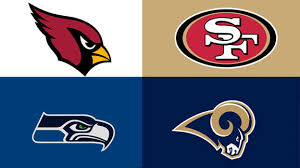 ( All of the teams I just listed are teams on the Rams schedule this year.) I see the Rams finishing with a pedestrian 6-10 record. This team was outstanding last year and just barely missed the playoffs. They lost Dockett but I don’t think this defense will miss a beat. In fact I think this team will be a tad better all around than last year. On offense they have veteran Larry Fitzgerald and an underrated WR on the other side in Michael Floyd. They have Carson Palmer who quietly threw over 4,000yds last year and Andre Ellington who I personally believe will be a great player for them as he had the most yards per carry of any player last year. He is the starter from here on out and I think things are looking up for this young RB. On the defensive side they have a playmaker safety in Tyrone Mathieu and a CB who is the most physically gifted corner in the game right now. Their coach, Bruce Arians is pretty solid as well. I believe this team will not only repeat their 11-5 record this year but will also grab a playoff spot in one of the wildcard spots. The reigning defending champions. 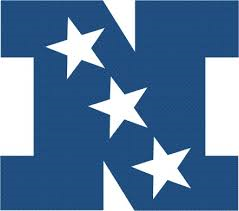 The same team who destroyed the greatest statistical offense in NFL history. They are all young and hungry to come back again. Russell Wilson has been the best QB this preseason scoring on a ridiculous 11-13 drives. 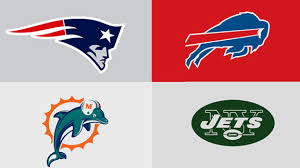 Again I don’t like to put much stock in the preseason but I personally watched some of their preseason games. The eye test is telling me this guy is the real deal. Making perfectly timed throws, reading defenses and countering them with efficient play after efficient play. 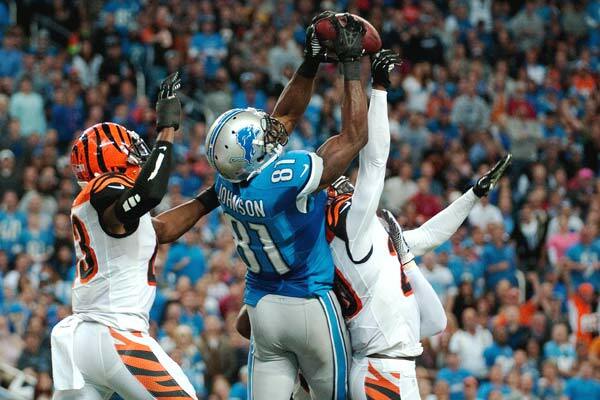 They lost their best WR Golden Tate to the Lions, but from what I’ve seen they will be perfectly okay without him. Marshawn Lynch can still be “beastmode” when they need him to as he led the league last year in Rushing TDs. Oh yeah, they got that defense which dominated the greatest offense ever recorded in history. The Legion of Boom is still intact as they have the two best safeties in the league, Earl Thomas and Kam Chancellor. They have Richard Sherman who has won the Madden cover vote this year and if you happen to follow him on twitter you will more than likely see him telling every other corner that he is better than all of them. I could go on and on about the weapons they have on defense but that would turn into an article all on it’s own. 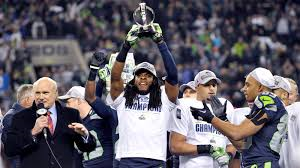 The Seahawks will finish this season 13-3, earning the division title and a first round bye week in the Playoffs. Do not be surprised if we see them again this year in the Super Bowl. 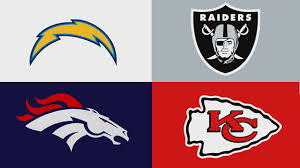 After a few years of being a putrid division the AFC West has finally gained steam. Denver is strong. The Chiefs are monstrous. And San Diego is Charging. 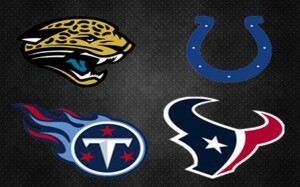 Outside of the Oakland Raiders this division is pretty tough and filled with competition. As a sports fan I want the Raiders to be good. 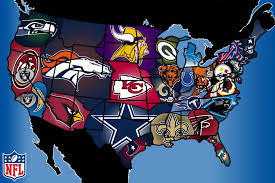 I feel like it would be beneficial for the league if they were but as it stands they aren’t. This offseason in free agency they had a ridiculous amount of cap space and with it they picked up Justin Tuck and James Jones. A bit of a disappointment for them but improvements nonetheless. They also traded away Terrell Pryor and got Matt Schaub so a bit of a change up at the QB position. Outside of Michael Huff Tuck, James Jones and Charles Woodson I don’t see a single positive thing about this team. They got Maurice Jones-Drew who has been on the downside of his career and Darren McFadden who has yet to even play half a season. 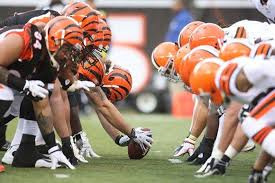 I can’t bring myself to say they have a chance at beating anyone in the division in a single game. Raiders will end the season with a pitiful 2-14 record and which’ll finish last in the division. Many of you might be wondering why I have the Chiefs here. Last year the Chiefs were a top 5 defense, had the best RB for the year and had a great coach in Andy Reid. Now let’s look at what they actually did. They failed to beat a single team that was over .500. To add on to that most of the teams they beat were beaten down at the QB position; facing backups in most of those wins. Jamaal Charles has had many problems staying healthy in past years and defenses will be locked in on him as he was their primary source of offense in passing and rushing the ball last year. And if they do happen to lockdown Charles it falls on Alex Smith to win the game. Alex Smith is a game manager and he is great at it, because he will more than likely never be a reason you lost a game. The problem is however, is that he can’t win you a game either. I believe the defense will be solid, but last year teams were able to drop 40+ on them so their defense isn’t lockdown. I honestly don’t think they’ll have a chance this year with defenses locking into Jamal Charles. I have them going 8-8; barely missing the playoffs and finishing 3rd in the division. 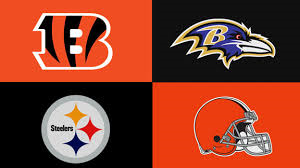 This team made some noise last year and if they get one stop at the end of their Divisional Round Playoff game against the Broncos we might be talking about a very different Super Bowl inregards to last year. With that being said for a couple of years now Philip Rivers has been stuck throwing to guys I’ve never heard of and an aging Antonio Gates. Until last year when San Diego snatched a guy named Keenan Allen in last years draft. Keenan made the most of his opportunities and became one of seven guys to ever get a 1,000 receiving yards in their rookie season. He’s a very underrated guy and should be mentioned more in debates of future receivers because he is a stud. Philip Rivers finally got some useful weapons and used them to perfection. 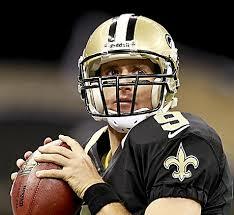 He was quietly the 5th best QB last year and I believe he does the same this year. He has Danny Woodhead who was used multiple times as a receiver out of the backfield a veteran in Antonio gates at TE, Keenan Allen a rookie on the rise and Ryan Matthews who hasn’t quite lived up to expectations but is a 1,000yd rusher regardless. Their defense hasn’t been great but it isn’t bad either. I can’t remember the last time their defense lost them games. I have them going 10-6 placing second in the division and snatching a playoff spot for the 2nd year in a row. This here is a no-brainer. The Denver Broncos still have Peyton Manning at the helm which means it’s championship or bust for them once again this year. All of us saw this team humbled, beat down, bullied, whatever you want to call that atrocity in the Super Bowl. The blueprint is out. Play the Broncos rough and they’ll back down. I’ve seen it already happen against the Texans this preseason with Manning getting in the face of a guy after the guy popped Wes Welker into another concussion, getting an unnecessary penalty call. 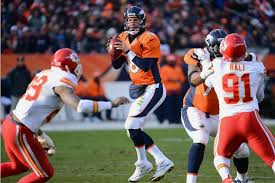 While I do like to see Peyton show some emotion on the field it makes you wonder if other teams are taking note of how they can get into the psyche of the Denver Broncos. They lost Knowshon Moreno who had his best year last year to the Miami Dolphins and they also lost Eric Decker who had become a very solid WR for them to the Jets. They picked up Demarcus Ware from the Cowboys and I’m a bit skeptical of the move after seeing him be a no-show for many games for the Dallas Cowboys due to injury and age. They also got a solid corner from the rival Patriots, Aquib Talib. Only problem is the fact that every game it seems like you need him he isn’t there and gets some kind of injury. Nonetheless the Broncos have one thing nobody else has and that is the greatest regular season QB of all time. Peyton Manning will do this year what he has done for the past decade and that is be surgeon by picking apart opposing defenses. I expect him to not have the record breaking season but to end the season 2nd in the MVP race. (we’ll get to who I think will later. ) The Broncos will finish this season 13-3 taking the division title and earning themselves a first round bye in the playoffs. From 1999 to 2003 the St. Louis Rams were a dominant force having perhaps one of the most explosive offense’s ever assembled. Led by QB Kurt Warner, RB Marshall Faulk and WRs Issac Bruce and Torry Holt the Rams were dangerous and put fear into the eyes of many. They dominated their competition in route to seasons that saw the likes of 13-3, 10-6, 14-2 and 12-4. During that span they went to two Superbowls winning one (99) and losing the other (01). They finished the following season with a 7-9 record having found a replacement, Marc Bulger, for QB Kurt Warner who’s play was sort of diminishing. 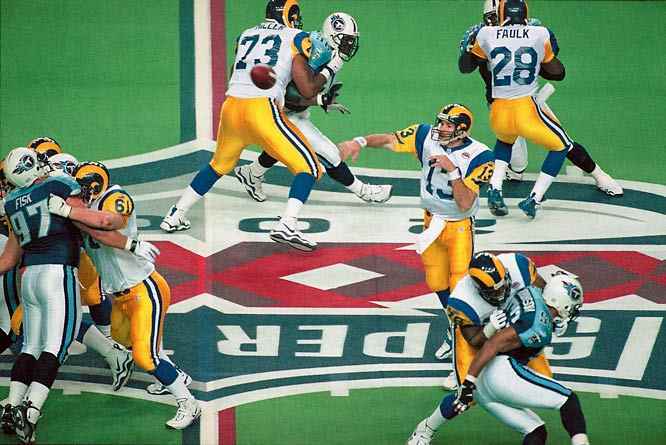 The 2003 season was the last of the Rams as they finished 12-4 losing to the Panthers in the divisional game. Ever since the “Greatest Show On Turf” ended St.Louis has been bad. Having gone through the rebuilding stage twice. 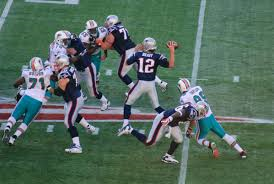 The fist rebuilding project occurred when Marc Bulger first took over. Having led them to 12-4 record his first year some thought he was the next guy up. When in reality he was just a mediocre QB. They eventually brought in RB Steven Jackson to take over for Marshall Faulk and let Holt and Bruce finish their careers off. Following the GSOT’s exit the Rams went on to have records that consisted of a 8-8 (a pair), 6-10, 3-13, 2-14 and 1-15. They went from being respected to being laughed at in a short time span. 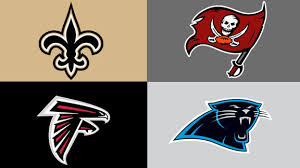 After finishing the 09-10 season 1-15 placing last in the NFL, they were awarded the first pick in the NFL Draft (2010). The talk of that draft (QB wise) was Sam Bradford (OU), Tim Tebow (Florida, Two Time Heisman Winner) and Colt McCoy (Texas). ( Hmph Jimmy Clausen as well.) Many believed Bradford had the potential to be very good if not great; stating that he was head and shoulders above the other QBs in his class. With all of the hype surrounding Bradford and a glaring hole at the QB position the Rams selected the Oklahoma QB number one. Alot of fans were enthused with the pick. And now some may have questions surrounding it. Having missed most of his final college season (shoulder injury) Bradford started in every game his rookie year. He was Rookie of The Year (ROY) and broke a few rookie records.He finished the season with 3512 yards, 18tds, 15ints a QB percentage of 76.5 and completed 60% of his passes. The Rams as a team went on to finish with a 7-9 record, which was a decent turnaround from the previous year. After showing a little bit of promise in his first year Bradford’s encore for the next season saw him miss six games and finish the season with stats of 6tds, 6ints, 2164 yards a 70.5 QB rating and a 53.5 completion percentage on his passes. 2-14 was the record the Rams finished with in year two of the Bradford era. With that being his second year in the league it’s fair to give him the benefit of the doubt. Quarterbacks generally do worse in year two because they’re game planned alot better and teams know some of their tendencies. Add that in with the fact that Bradford was hurt a pass must be given. So I’ll let him off the hook…For now. In year three Bradford had totals of 21tds 13ints 3702 yards 82.6 QB rating and a completion percentage of 59.5. He also played in all sixteen games. He improved a bit from his rookie season individually but when you look at the team’s record they finished 7-8. (One game was postponed.) Better quarterback yet same result. Year four, which was last year saw Bradford miss nine games. His stats were nice (14tds 4ints 1687 yards 90.9 QBR and 60.7% completion wise) but his absence wasn’t felt like in year two. Last year the Rams still managed to win seven games without Bradford for most of the season which leaves me with this thought. Is it time to abort the Bradford project? If you look at it even with Bradford intact this team was still mediocre. They have a decent defense but the inconsistency or should I say absence of a mobile QB seems to throw them off from time to time. They’ve never been over .500 as a ball club and alot of the blame has to be put on Bradford. It may not be fair to him but that’s how it is in the NFL. If a QB can’t stay healthy and hasn’t done much to make a case in why he should be the franchise guy, why should the team continue to give him chances? Some may say fours years is too small of a sample to evaluate on if a QB is franchise caliber or not. I think it’s just enough if the QB can’t remain healthy. Oh and if you think this year is going to be a different story you’re wrong. Bradford is already out for the season with an ACL tear and who’s to say he’ll be healthy next year? 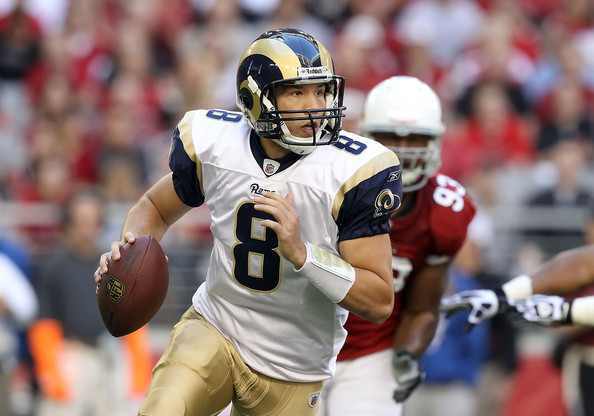 For three out of five years now Sam Bradford has failed to be there when his team needed him. This season was supposed to be the year of the Rams. A breakout year if you will that has now been ruined because of Bradford’s cliched departure. Eleven years ago it was okay to wait and build. But now with a division that’s currently on the rise and primed for years of dominance (Seattle, Arizona, San Francisco) the time to act is now. It doesn’t make sense to pay for a broken product…….. Time is money and money is time. It’s time for the Bradford project to be resigned. Or another decade of mediocrity will be all but enshrined.